Hello, hello my friends! The first Tuesday of every month I am sharing a new watercolor art print with you! You can always find sneak peeks over on Instagram, you should come visit! 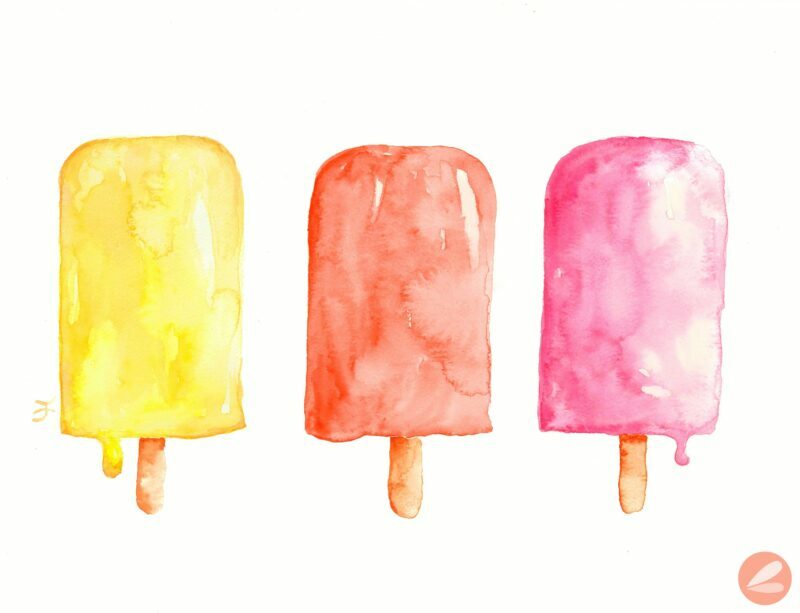 Today we have these fun Watercolor Popsicles – perfect for summer! If you love this image and want a watermark-free version please consider purchasing the print through my etsy shop. 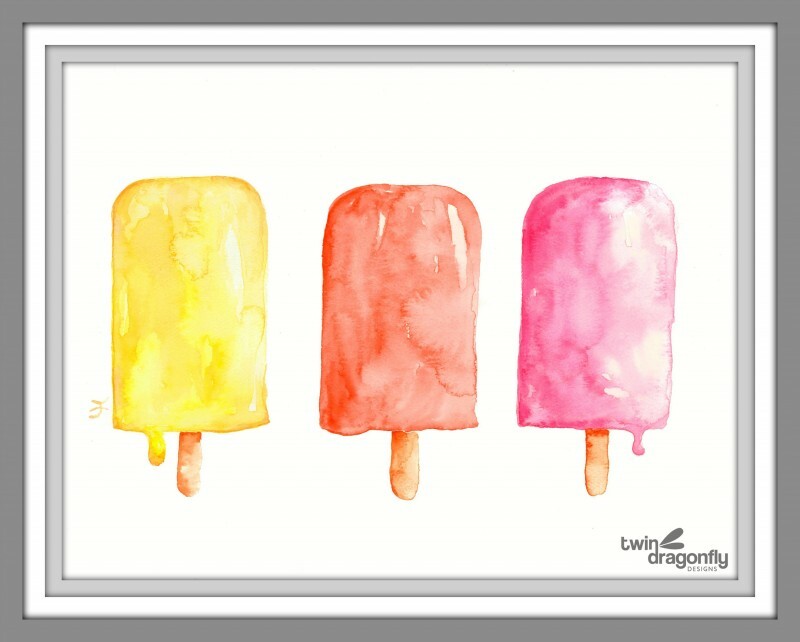 Scroll down for links to all of the FREE printable popsicles… nom nom! It looks mouth-watering and refreshingly yummy! This can be a good party decor on parties with a summer theme. However, in reality, most of us opt to go to the beach during summer because of the heat. There’s really no need for a decor if that’s the case.